We now seek highly motivated individuals with NASD FINRA Series 6, 7, 63, 65 and State Life and Health licenses for the opening of: Financial Advisor in the Austin, TX area. 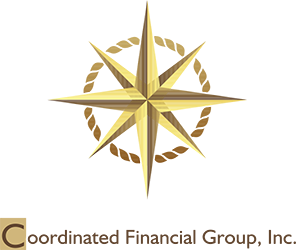 Provide comprehensive financial planning and asset management services to an existing client base developed through CFG's group sponsored relationships. Build upon long-term client relationships to provide comprehensive advice and product offerings, including annuities, mutual funds, life insurance, disability income, and long-term care insurance, and fee based financial planning. Superb prospecting, marketing, and sales promotion support including: colorful eye-catching sales literature, a comprehensive series of financial planning workshops and seminars, and customized direct marketing literature and letters. The power of computer-based programs and services to support your sales effort. State-of-the-art notebook computers and printers that will let you provide innovative retirement planning and asset allocation services for your clients, wherever they are. Sales meetings and conferences at prestigious four-star destinations. Benefits package including group medical and dental, life, healthcare and dependent care reimbursement accounts, free group life insurance, employee stock purchase plan, a generous 401(k) plan with company matching contributions, and more. We are committed to creating opportunities for CFG financial advisors, rewarding performance, and partnering with you to take stock in your future. Income sources can include training allowances, commissions, asset-based compensation, or a combination of these components. Bachelor's degree or equivalent related work experience. Ability to quickly learn and market a variety of financial products and services. Effectively utilizing technology for sales presentations and account servicing.